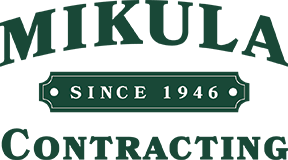 With over 70 years of business in the construction industry, Mikula Contracting, Inc. is your first choice for all of your Residential Trucking and Material Delivery needs. If it is a large or small load of stone, fill, or sand that you need delivered to your home then Mikula Contracting, Inc. is the family-run company for you. Our efficient, affordable, and dependable line of trucks and crew will take care of all of your logistical needs when transporting your valuable materials. Get a Fast Quote for commercial trucking and material delivery in Northern NJ throughout Essex, Hudson, Bergen, Passaic, Morris and Union Counties.